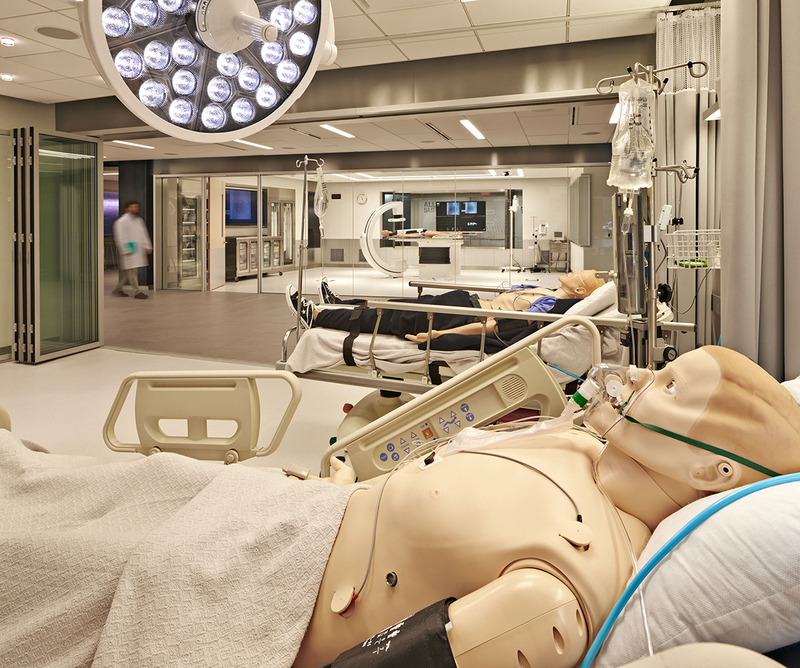 The execution of concept in this biopharmaceutical simulation center is excellent: Simulation center as operating theater. It’s incredibly innovative to take a program typically housed in the basement and elevate it to a centerpiece. 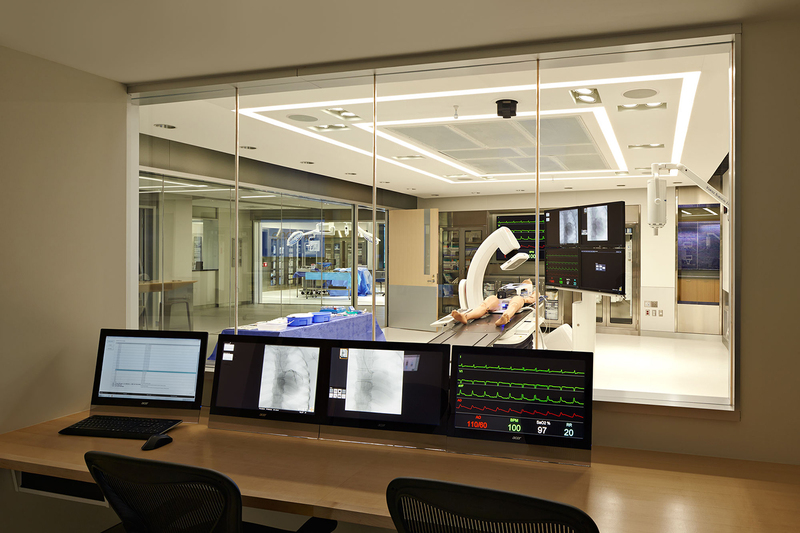 The operating room’s complete transparency invites potential buyers as well as employees to view new products while providing an open and comfortable environment for exchanging new ideas. Materials are smartly chosen, and the seriousness of the place is communicated by a neutral color pallet that lends it gravitas. 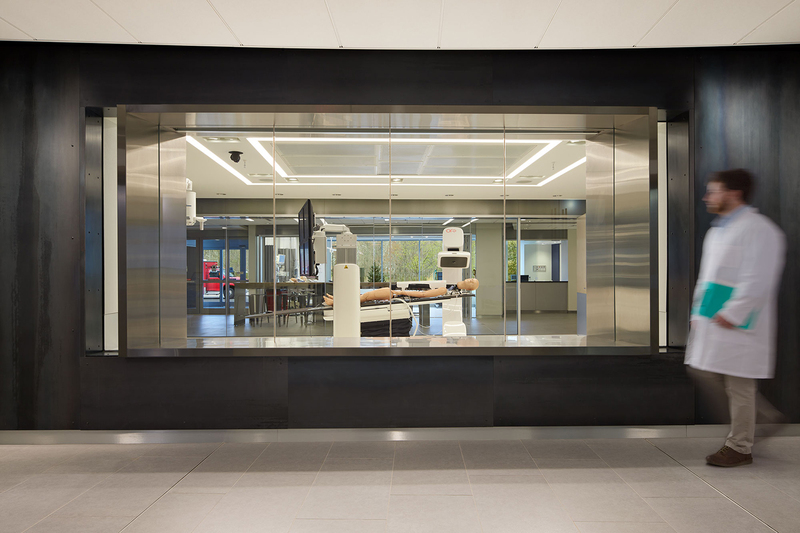 The plan calls for spaces that are reciprocally shaped and designed to support each room’s core program, while helping define and support the program in adjacent rooms. 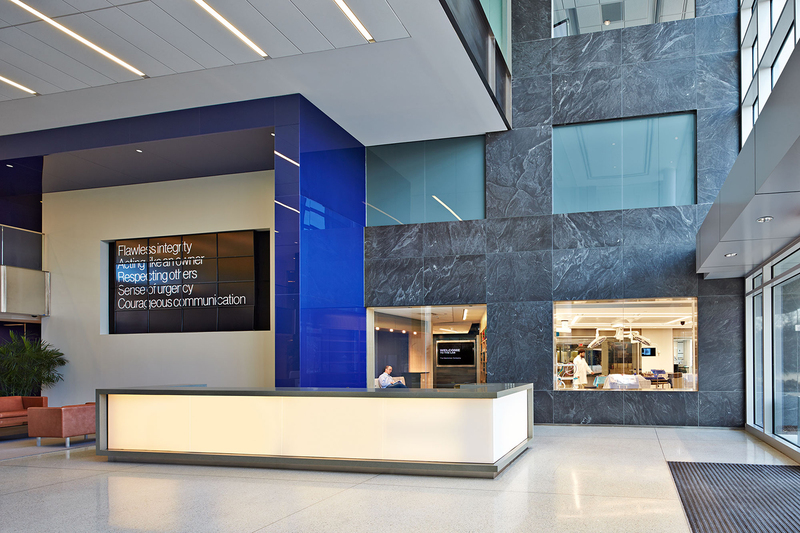 Circulation paths heighten the visitor’s understanding of the firm’s research while strengthening collaborative relationships.